Most people who read The Magic Mala end up buying a set of mala beads after reading it. It’s a great way to continue the journey after reading the book and to implement what you have learned about creating the life you desire. Therefore, Bob would like to help you find some mala beads that fit your preferences and price range. On this page, you’ll see online retailers who sell mala beads. Bob will write a brief description of each one. Our list will grow as we find new retailers who we like. While we cannot take responsibility for the quality of product or customer service from these companies, we will remove companies from the list who we learn are not up to our standards. Therefore your feedback—both positive and negative—is welcomed and appreciated. You can leave your feedback to Bob’s assistant, Jen, on our Contact page. Please be sure to tell Jen what company you purchased from, which type of mala beads you purchased, and what your experience was with your mala and/or the company. She will pass this info along to Bob. At some point, one or more of these companies might offer affiliate programs, so in full disclosure please know that Bob might receive a small fee for any new sales these companies earn from these referrals. 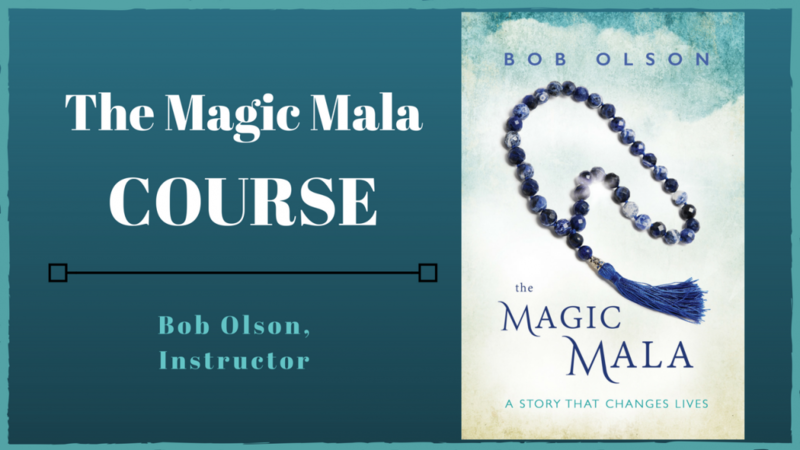 It’s not a lot, but it’s a lovely way to support Bob’s work in this field if you appreciate what you have learned in The Magic Mala, his podcast, blog, articles, or even his social media posts. Get Your Very Own Mala Here . . . I own the “I Am Fierce Tassel Mala.” It has these intensely black Matte Onyx beads (and a few Lava beads for a drop of essential oil), and I must admit that I absolutely adore it. It’s very well knotted, and I appreciate the strength of this mala (both in its stringing and energy). I also must say that the tassel is one of my favorite mala tassels that I’ve ever owned. It doesn’t tangle or get frizzy like a lot of my mala tassels, so I’m not constantly trying to smooth it out. It’s my favorite mala right now, meaning it’s the one I use on a daily basis. And this is why I’m telling you about this kind, authentic, and bohemian-style mala designer. Malas are easy to find on the website, so check it out HERE.